John Franklin Sain (September 25, 1917 – November 7, 2006) was an American right-handed pitcher in Major League Baseball who was best known for teaming with left-hander Warren Spahn on the Boston Braves teams from 1946 to 1951. He was the runner-up for the National League's Most Valuable Player Award in the Braves' pennant-winning season of 1948, after leading the National League in wins, complete games and innings pitched. He later became further well known as one of the top pitching coaches in the majors. Born in Havana, Arkansas, Sain pitched for 11 years, winning 139 games and losing 116 in his career and compiled an earned run average of 3.49. His best years were those immediately after World War II, when he won 100 games for the Boston Braves, before being traded to the New York Yankees during the 1951 season for Lew Burdette and cash. Sain also had the distinction of being the last pitcher to face Babe Ruth in a game and the first in the Major League to throw a pitch against Jackie Robinson. Sain (left) with Warren Spahn in 1951. The poem was inspired by the performance of Sain and Spahn during the Braves' 1948 pennant drive. The team swept a Labor Day doubleheader, with Spahn throwing a complete game 14-inning win in the opener, and Sain pitching a shutout in the second game. Following two off days, it did rain. Spahn won the next day, and Sain won the day after that. Three days later, Spahn won again. Sain won the next day. After one more off day, the two pitchers were brought back, and won another doubleheader. The two pitchers had gone 8-0 in twelve days' time. That year, the Boston Braves won their second and last National League pennant of the post-1901 era, but fell in six games to the Cleveland Indians in the 1948 World Series. Sain won the first game of the Series, a 1-0 shutout at Braves Field that included a memorable play in which Boston catcher Phil Masi was called safe after an apparent pickoff at second base. Masi went on to score the game's only run. 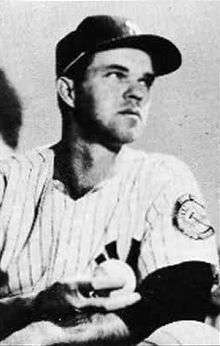 With the Yankees, Sain became a relief pitcher and enjoyed late-career success, leading the American League in saves with 22 in 1954. He finished his career in 1956 with the Kansas City Athletics. After retiring as a player, Sain spent many years as a well-regarded but outspoken pitching coach for the Athletics, Yankees, Minnesota Twins, Detroit Tigers, Chicago White Sox and Atlanta Braves. During the 1960s, Sain coached the pitchers of five of the American League's ten pennant-winning teams. An independent thinker among coaches, Sain tended to be admired by his pitchers, but he battled with at least two of his managers—Sam Mele of the Twins and Mayo Smith of the Tigers—when he disagreed with them. In each case, Sain was fired, but the manager's dismissal soon followed when his pitching staff suffered from Sain's absence. Sain did not make friends among owners and general managers, either, when he would advise pitchers to "climb those golden stairs" to their teams' front offices to demand more money in salary talks. Jim Bouton, in his book Ball Four, expressed unreserved admiration for Sain, who had been his pitching tutor in New York during his first two Major League seasons, 1962 and 1963. Bouton openly wished to pitch for the 1969 Tigers in order to have a chance to again benefit from Sain's coaching. Sain died at age 89 in Downers Grove, Illinois.